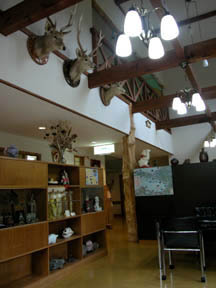 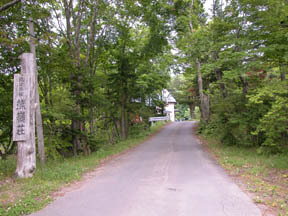 It is an enough lodge in the forest at the base of a mountain. 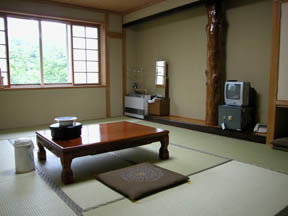 The guest room where the little stream of a river can be heard. 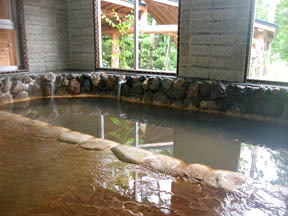 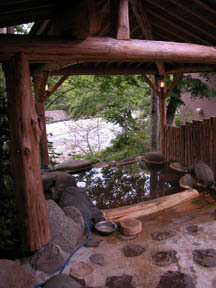 A deposit of non-[ non-heating ] water-running souce-of-spring overflow and a hot spring ingredient is also uncanny.